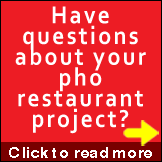 Home›Pho Op-Ed›Vietnamese Pho: Franchised and Going Mainstream? Vietnamese pho in shopping malls? How about at Treasure Island in Las Vegas? Pho franchises? Yes, yes and yes. 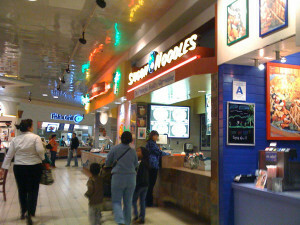 I came across Saigon Noodles in the UTC shopping center in San Diego CA (Saigon Noodles reviews on Yelp.com). 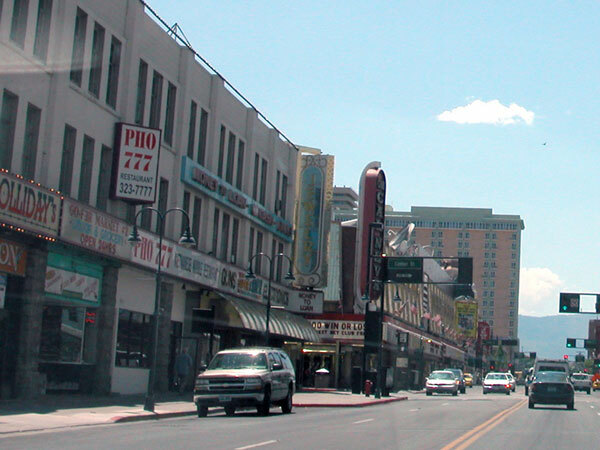 And while in Reno NV I saw Pho 777 so took a quick shot on my camera. I've always known that Vietnamese pho restaurateurs are a bunch of creative entrepreneurs with tough business sense. Just look at the numerous pho stalls, bistros and restaurants in Vietnam, and the density of pho places in pockets around California and other states. 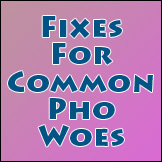 Pho is everywhere, so you run into them with more frequency lately, many times in unexpected places. 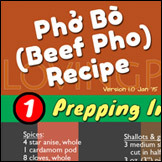 And when you consider that ingredients are now much easier to source, that if you can recreate a great pot of soup stock in a cookie-cutting way over and over again, coupled with the fact that restaurateurs are more confidence about how a non-Vietnamese might accept and enjoy a healthy bowl of pho, you have a good formula for expansion. 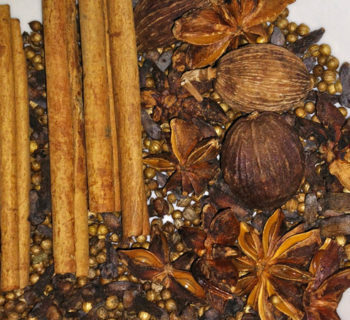 Take Pho Hoa for instance. Owned by the Aureflam Corporation in Sacramento, the chain has almost 90 stores worldwide (both company-owned and franchised), with 33 in the U.S., 12 in Canada, and 42 in Asia, according to company literature. Aureflam also operates Pho Cong Ly chain stores in Texas and several other states as well, including Falls Church, Va. As expected, to succeed with a larger clientele, Pho Hoa and Pho Cong Ly must become somewhat "Americanized" in order to support their expansion outside of ethnic communities. 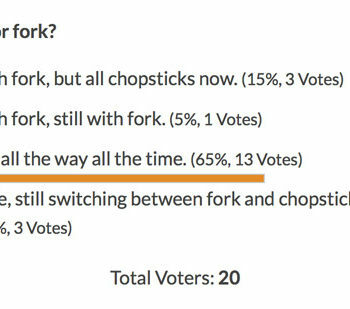 Within competitive environment with lots of other pho choices, I'd recommend the other choices. My personal experience with Pho Hoa, located right in the middle of pho capital of the USA (Little Saigon in Westminster CA) was barely average. 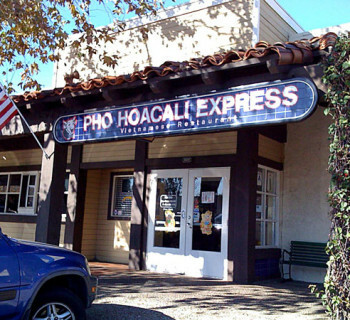 You can read more about Pho Hoa. Across the Pacific you have the more exotic PHO 24, which is expanding fast across Southeast Asia and into Australia. 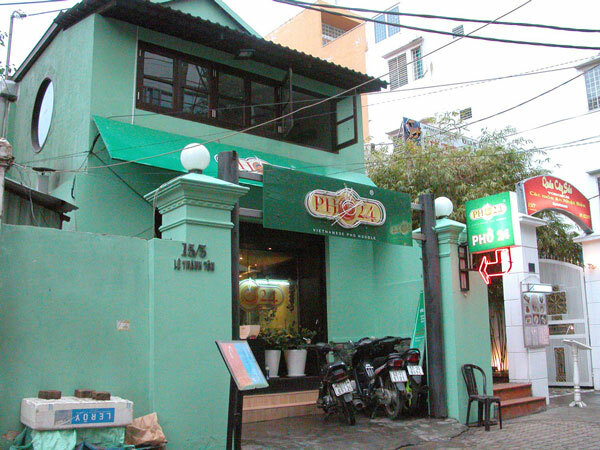 According to the company, PHO 24’s vision is to be the number one brand name of Vietnamese Pho noodle restaurant chain inside and outside of Vietnam, and its website says it has 65 stores at the time of this post. Looking at its menu and new products, I see PHO 24 is confidently bringing out new pho options that are definitely pushing the traditional, like the Kid Combo (cool idea) and pho duoi bo (pho with ox tail - would love to try this). True to being a franchise, I saw PHO 24 all over the places when visiting Vietnam in 2008, but regrettably did not have chance to eat in one. Here's a shot of the one on Le Thanh Ton Street in District 1, Saigon. The interior shot is courtesy of PHO 24 website. So there you have it. Vietnamese Pho is taking over the world! And I like it. More chance for me to enjoy a bowl pho wherever I go. in Vietnam neer big markit and Siagon airport, is about the only one I enjoy eating at. the people are very nice, it very clean, and I love the beef pho, we have eaten in others but not enjoy as much, if we had the money I sure love to have on in northen Michigan, Deer hunters would love, heck every one would.